Let me tell you a bit about the company first. 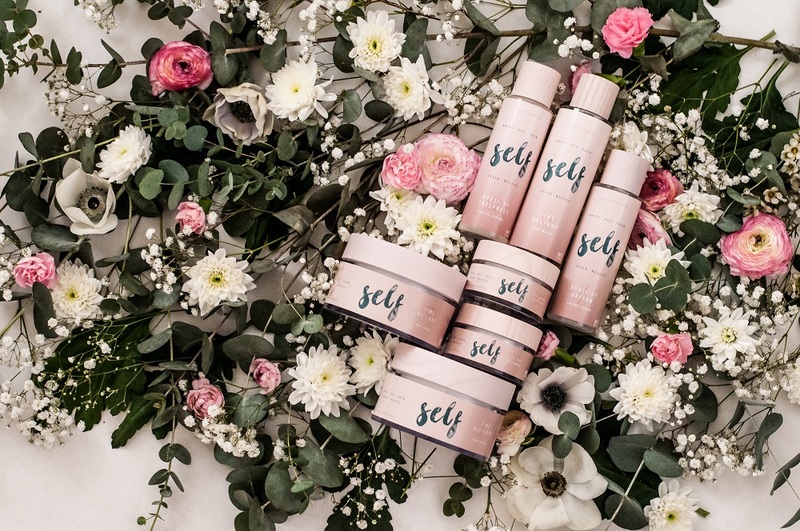 The owner Isabella decided to start her own skincare brand with products that are 100% natural, chemical and parabeen free, that means that the products are also suitable for people with sensitive skin or eczema. Her products are also cruelty free and even vegan! She wanted to create products that are gentle for the skin but also with respect for nature and animals. 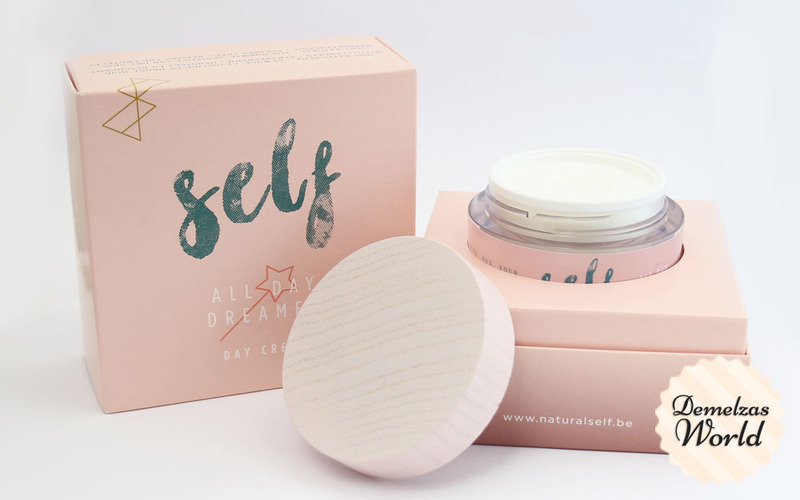 I was very lucky to receive an email that I could try one of the Self products and after browsing their website I decided to go for the All Day Dreamer day cream. I picked this one because for me it’s a bit harder to find a good day cream because I have acne, rosacea and my skin is very sensitive. My day cream has to moisturize my skin so I don’t get dry patches but not too much otherwise my skin gets oily. When a cream is too heavy my acne gets worse so it has to be light plus it should also be a good base for my makeup that I want to apply later. 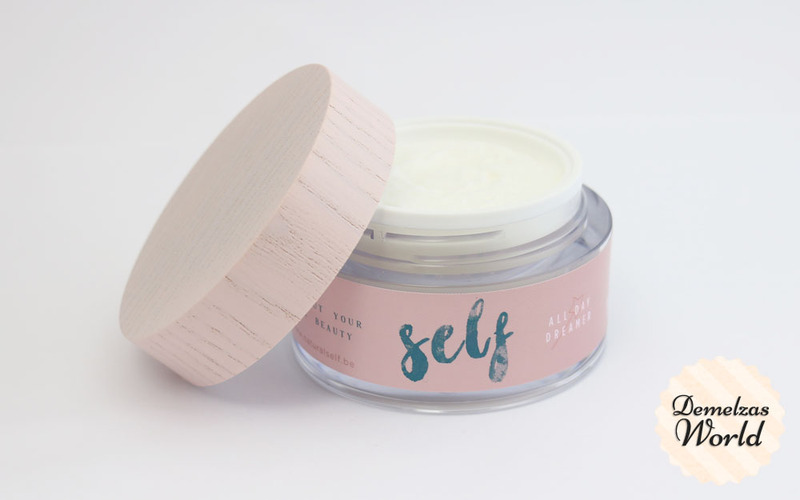 A luxury replenishing and soothing facial day cream. 100% natural active ingredients and aromas provide intensive nourishment and optimum protection for the skin while moisturising elements ensure smooth, radiant results. Your trusted companion in the fight against the visible signs of aging. I was so happy when the product arrived! The packaging is made from certified materials and looks lovely, I love the wooden cap it’s such a nice touch. Now on to the most important part: the cream. The smell is really nice, I don’t like scents that are overwhelming and this one is very light, I love it. The cream feels different from other creams that I’ve used in the past but once you get used to it it’s actually really nice. You can spread the product easily all over your face with a light hand and the cream sinks into the skin quite fast. Right after I uploaded my P.O. box video I started using this product and after 3 weeks I still don’t have any problems with my acne or rosacea getting worse so for me it’s safe to say that my skin is completely happy with this cream. 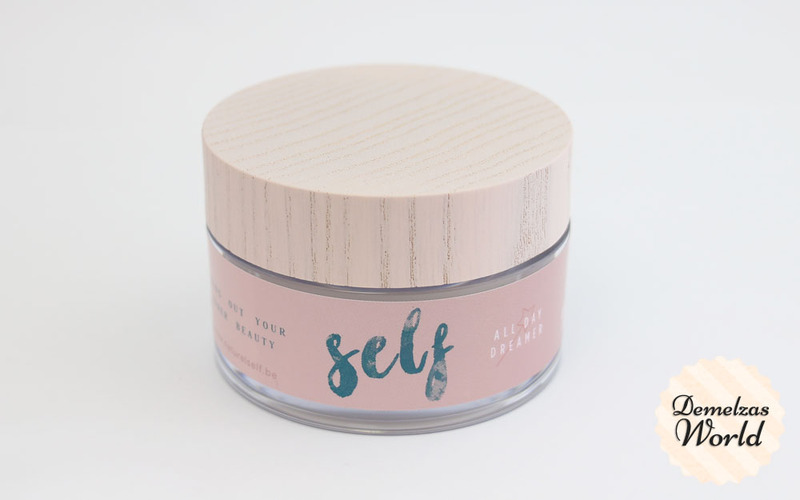 😀 The price of this jar is € 57,66 for 50ml, it’s a bit higher than normal products and I can understand that maybe for some it’s too high but for me it’s worth it. I love the product and I’m willing to pay more if I know all ingredients are natural and there are no animals harmed for making and testing this product. So don’t I have anything negative to say? Well, there is one thing I’ve noticed. I have some dry patches on my cheeks that are always a problem. For somebody with normal skin this isn’t a problem, but if you have dry skin you definitely need a thicker moisturizer in your night time routine. For me this is always the problem with any cream that I use because I don’t want to use a cream that is too thick during the day otherwise my skin gets too oily but I do get some dry patches at the end of the day. That’s why I use a thicker cream at night. Maybe I should try the All Night Starlight to see if that combination is perfect for me! Let’s make a pro’s and con’s list! – Price can be too high for some people, although it really is worth it! You can buy the All Day Dreamer over here and their other products over here! If you have tried one of their product let me know what you think, love to hear your feedback!